Orphan Hugo Cabret lives in a wall. His secret home is etched out in the crevices of a busy Paris train station. Part-time clock keeper, part-time thief, he leads a life of quiet routine until he gets involved with an eccentric, bookish young girl and an angry old man who runs a toy booth in the station. 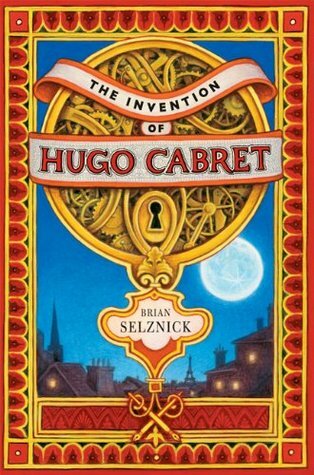 The Invention of Hugo Cabret unfolds its cryptic, magical story in a format that blends elements of picture book, novel, graphic novel, and film. Caldecott Honor-winning author-illustrator Brian Selznick has fashioned an intricate puzzle story that binds the reader like a mesmerist's spell. I hope he enjoyed the book because I want to read it before watching the movie. OMG! How cute he is. I just saw the new trailer yesterday. Yipppie! How it is? I am looking forward to the film but still I want the book.